Air conditioning systems require regular maintenance and effective repair services in order to provide you with the best results. 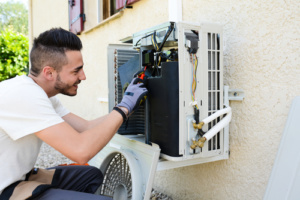 If you have your air conditioner serviced and maintained regularly, you can improve its efficiency and overall performance. This will also help you ensure its long-lasting quality and the comfort of your home. Once you notice possible problems, such as AC not cooling your house, you should book with the leading experts for air conditioning repair in Scottsdale, who will deal with any issue in a proper manner. When choosing a company for air conditioning repair, there are a few essential considerations to keep in mind. 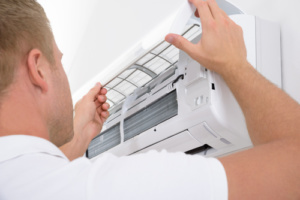 Without proper maintenance and regular service, more than a few problems with your AC unit may arise. Its air filters are likely to become covered in mold and dust, which will prevent your unit from functioning properly and affect its efficiency. Also, these allergens will be released into your home, reducing the quality of your indoor air. This is why you need to hire reliable professionals who can service your air conditioning regularly. While the air filters should be changed every three months, other parts of your AC system should be serviced at least once a year. 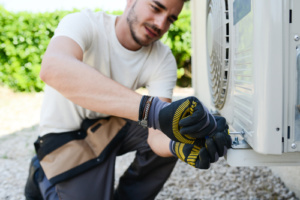 You can try troubleshooting your central AC on your own, but keep it mind that repairs should be left to experienced professionals. Also, make sure to follow the guidelines given by the Department of Energy when it comes to air conditioning maintenance. What to look for when choosing an AC repair company? Your air conditioning system is one of the most important components of your household, so it requires qualified and proper care. You need to hire the best technicians in Scottsdale who can resolve your AC problems effectively and in a timely manner. Hiring the wrong people for the job will not only cost you more, but it may also endanger your safety and property. So, when booking AC services, you need to pay attention to several important factors. Licenses and certificates. Under no circumstance should you hire an unlicensed company without all the necessary certificates. You need to know that your AC unit is handled by qualified professionals who have undergone proper training. In some countries, unlicensed electrical work is also strictly prohibited due to safety reasons. Experience. This is one of the prerequisites for hiring an AC service company. You should go with experts who have experience in dealing with AC installation, repair and maintenance. Competent and experienced technicians will be able to think of different solutions and resolve a problem successfully. Pricing. Although pricing isn’t the most important thing to consider, you should still keep it in mind and go with a company that offers competitive rates. Beware of prices that are too low because you may be unpleasantly surprised by additional fees. Also, consider companies that can give you an estimate. For instance, if you’re wondering how much AC leak repair service costs, you can ask for several estimates and then compare the quotes. Availability. You shouldn’t waste hours waiting on hold to actually contact a company or spend days for them to come over to deal with a problem. A company that is available to your questions and requests brings a great level of professionalism and expertise. Also, if you have an emergency, you want a company that will respond quickly. Who should I call for air conditioning repair in Scottsdale? There’s a simple answer to this question – Hughes Air. We are your go-to service for AC installation, maintenance and repair. If you need reliable technicians who can render premier Scottsdale air conditioning repair services, feel free to reach out to us. Our experts are highly trained, experienced and knowledgeable, so they can overcome any obstacle they come across. We specialize in a range of HVAC services, so you can rest assured that your system is in the right hands. Booking with us is simple and efficient, so you’ll even have time to visit the Scottsdale Museum of Contemporary Art. Contact us today and let us help you create a comfortable home!